During the winter season, we’ll be having our usual series of Monthly Conferences on the second Saturday of each month, from 7pm. 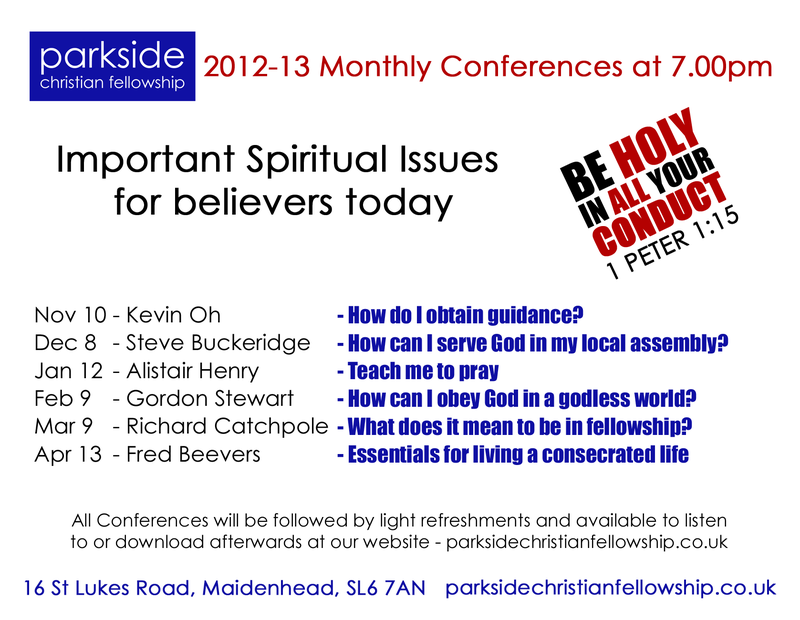 This year, we’re looking at the overall subject of Important Spiritual Issues for believers today. The full details and dates are listed below and we hope you’ll be able to join us for some of the sessions.